Pallet is such a marvelous thing that your can make countless crafts by upcycling it. Prior to the ideas given in our website, you certainly never would have imagined that how important these wooden pallets could be. But we, in our website have turned this useless wooden object in numerous practical art crafts. These upcycled art crafts have widely been liked and appreciated by our visitors and they have tried it at their own as well. We have turned or upcycled wooden pallets into certain furniture articles. A pallet is a wooden object which is made for ensuring the safe transferability of some delicate products. It is normally used in cargos and voyages where products travel hundreds and thousands of miles and still stay intact and functional. Yes these wooden pallets ensure their safe transferability. This wood pallet is most of the times dumped or trashed by us in our backyard when we are done with it. But upcycle art has revived its importance and given it a new life by upcycling it into many practical crafts that we use in our daily life. These wooden pallet art crafts are so durable and stylish that we always love to give them a chance. As we have mentioned earlier, we have used wood pallet in many practical art crafts like furniture items, wall art ideas, decor ideas and many more. 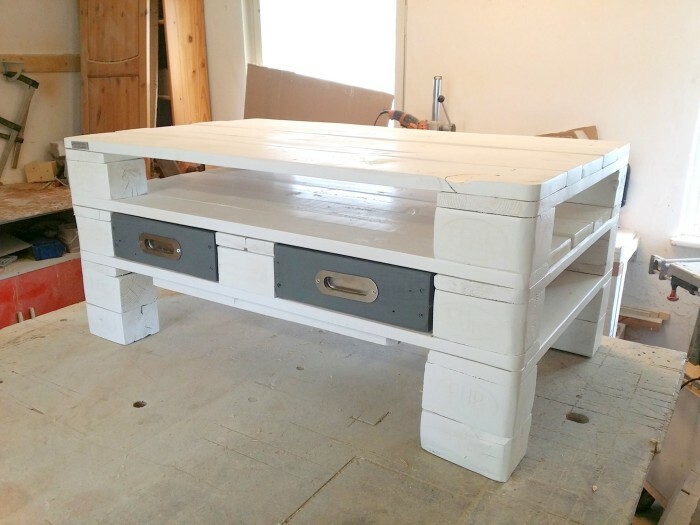 Making a coffee table by upcycling pallet wood is another great idea. You can have a multi dimensional all purpose coffee table having different tiers and drawers made of wood pallet. 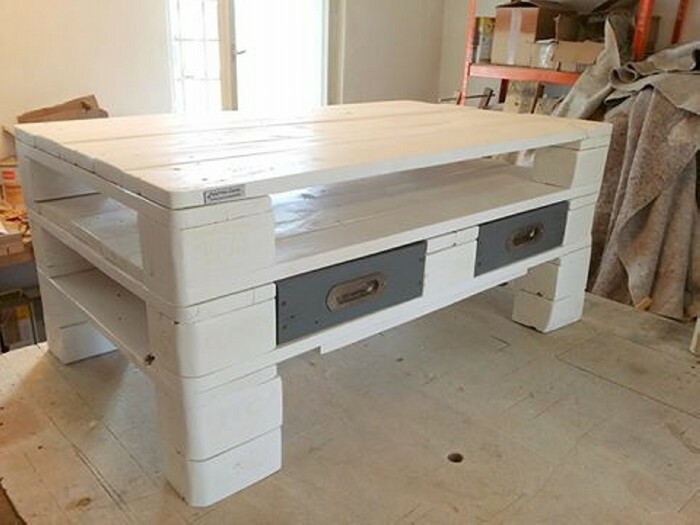 You can paint it in whole bright white color, and the drawers in contrast as grey. This pallet wood upcycled coffee table would fascinate you to the extent, that you would forget your expensive branded coffee tables.